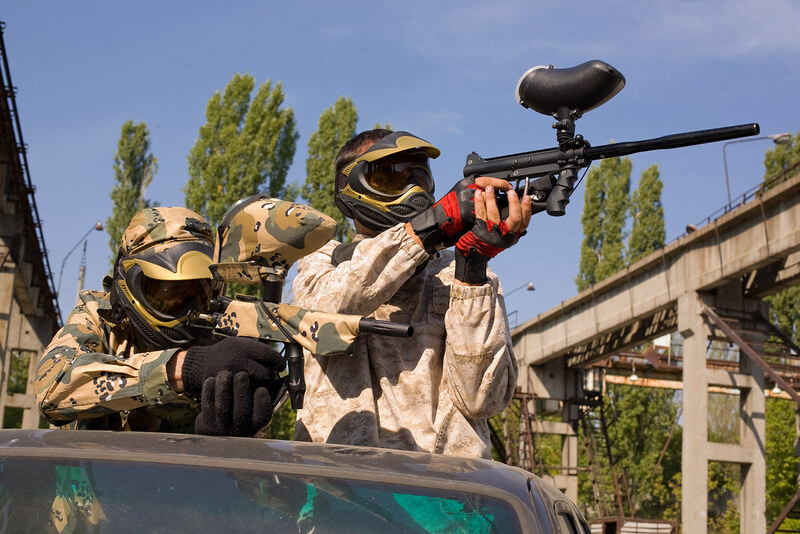 Paintballing is really cool in that it is just like you are playing a real life video game. This site has some super realistic gaming scenarios to keep all your Stags on their toes. Paintball is a real classic of a stag do event. Is there a better way to show your - I do not want to say love - let’s just say fondness of the groom than by ganging up on him and blasting him with a paintball gun….. I do not think so! 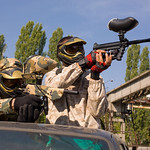 Paintball is really cool in that it is like you are playing a real life video game. Or if video games are not your thing then think of it like being in an action movie. Only instead of blowing people away with live rounds you are using paint, which I might add hurts like hell, but I mean than in the most positive way. You see it stings when you get hit, but you will have a big smile on your face as you know that when you shoot your best mate in the leg that it will sting him. There is nothing as satisfying as a revenge shot to the back! 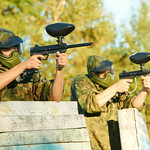 This is one of the best designed paint ball centres in the London area. They do not just throw you a paintball gun, some protective equipment and then let you get on with it. They go above and beyond to make sure you guys have the most fun possible. One of the main ways that they achieve this is that they have different course, levels, games or whatever you want to call them to play out. This makes the whole event so much more enjoyable than just running around like a headless chicken in the woods. They have five well designed and thought out game zones for you to play in these are Chemical Alley, D Day Landing, Viet Cong Village, Castle Wolfenstein and the Haunted Graveyard. So as you can see there is a very diverse set of game zones that cater for classic real life war based, sci-fi based and even horror based as well. These game zones really do get you into the event more and make you have great time. Paintball is far more skill based than many people realise. Most of the time the team that just goes running in all guns blazing will end up losing. It’s the team that actually thinks about what they are going to do and plans an attack properly who will be successful. 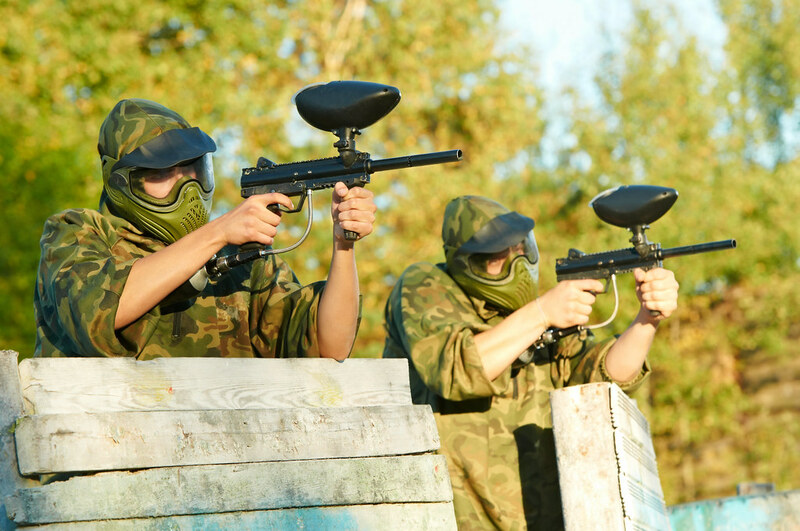 The mental part of paintballing is a huge part of the fun. So will you be a strategic commander leading your team to victory. Or will you be a crazy SOB who ends up getting their whole team killed? Either way you are in for a great time! Once you arrive and are giving your safety briefing and given your equipment you will split into your teams. Your paintball gun has 100 pellets inside it, but you are more than welcome to buy some more if you want. Paintball is always fun, but the cool game zones here make paintballing better than it ever has been. You get 100 pellets to start you off which will last you ages! All the equipment is provided by the centre.